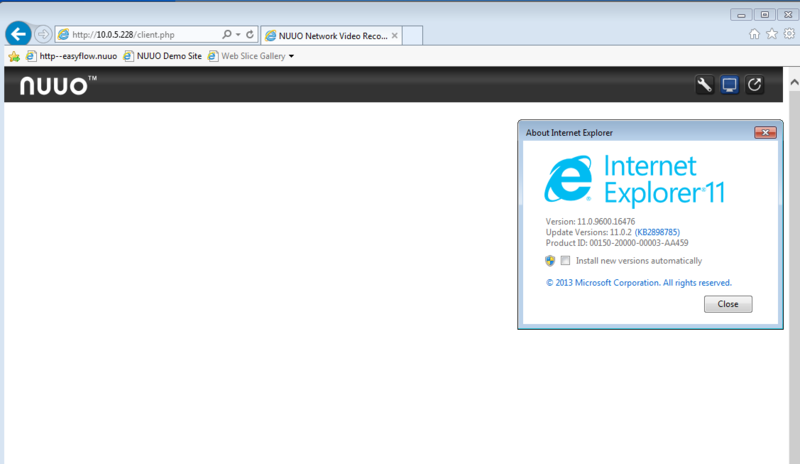 Inside Internet Explorer 11 browser, after connecting to Client Web access, the server setting page is working without any problem but the Liveview page or the Playback page is not working or just hangs without response. Below picture is an example of Crystal Titan that shows a white screen and is not able to be used. 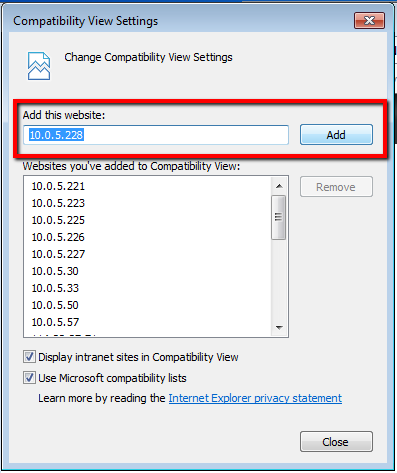 If you are using IE 11 and have not configure the Compatibility View settings, then you may encounter this kind of problem. Please kindly follow the below workaround to be able to watch live view. 1. 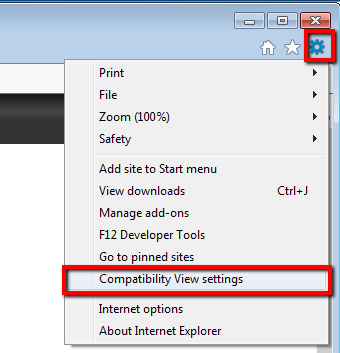 Click the Setting icon and click the Compatibility View settings. 2. And add this IP address to compatibility view. 3. Now re log in to your unit and then you wil be able to watch live view images.